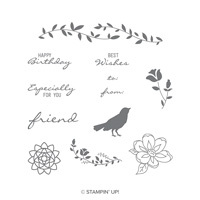 Botanical Bliss Clear-Mount Bundle by Stampin' Up! 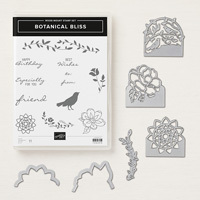 Create great die-cut botanical tags record time with Thinlits dies and the Big Shot. The medallion and flower dies also have Edgelits that can separate the die image to be used as a separate piece on a project. The Edgelits were designed to be longer than the tag piece to ensure the image is cut completely.